Point 1 aluminum storm windows are measured, designed, and custom built to ensure maximum energy efficiency and enhance the appearance and value of buildings. Using only the highest quality components and manufacturing techniques, Point 1 storm windows are the perfect solution for your protection needs. If you're looking for storm windows to keep your home protected from the elements, call us or contact us online to schedule your free estimate. Point 1 storm windows are constructed of high tensile strength – a level above industry standard – and are designed to protect the existing underlying window from the harmful effects of wind and weather. This extra level of protection gives you the added value of noise cancellation. The Point 1 window has a maintenance-free, baked enamel finish – available in a number of colors. Double weatherstripping and “no-fail” mechanical interlocks ensure a solid barrier against air, water, dust, and noise. A preservation society building storm window replacement. 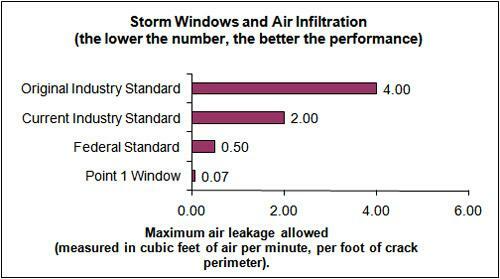 Tests prove the Point 1 window offers unprecedented energy efficiency and durability in a storm window. The design and construction of our windows minimizes air leakage and drafts, stopping wind, dust, and rain from passing into your home. For more information, please download our Point 1 brochure. Point 1 products blend in a way that is faithful to the original design and character of a variety of architectural and architectural designs. The Point 1 historic storm window has become a favorite of preservation societies. While most commonly used on period homes, Point 1 windows have also been installed on lighthouses, armories, and churches, or anywhere a high-performance storm window is desired. Are you looking for quality replacement windows for your home? Schedule a free in-home cost consultation and window installation estimate in Shelton, Trumbull, Stamford, Fairfield, Norwalk, Danbury, Hartford or nearby.